MCD elections: A clash with another local poll means voters in Delhi will have a different finger inked. 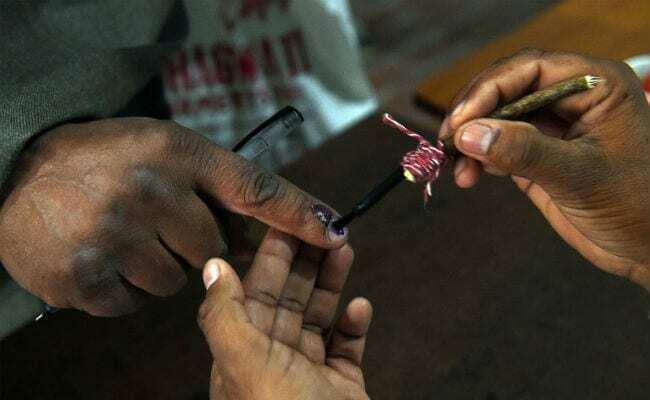 New Delhi: Voters will have their left ring finger inked after exercising their franchise in the Delhi municipal polls on April 23, the State Election Commission has said. The move has been necessitated in the event of back-to-back Delhi Sikh Gurdwara Management Committee (DSGMC) polls and Rajouri Garden Assembly bye-elections in the city. The Commission had earlier issued directions to returning officers of Ward 5S to Ward 8S falling in Rajouri Garden Assembly Constituency to put indelible mark to the voters' "left middle finger" during the MCD polls. "However, the Election Commission approved putting indelible mark on left middle finger of the electors of Rajouri Garden for the bye-election held on April 9," the State Election Commission said. "It is hereby ordered that the indelible mark be made on the left ring finger of electors in all the three municipal corporations of Delhi during the MCD elections to be held on April 23," it said in a recent order. DSGMC polls were held on February 26 and results were announced on March 1. The Shiromani Akali Dal (Badal) had won the election, bagging 35 out of 46 wards. The committee is a 55-member body with 46 elected members and 10 historical gurdwaras and 30 educational institutions come under its purview. Rajouri Garden bypoll results were announced yesterday which was won by the BJP that dealt a severe blow to the AAP, as its candidate even lost its security deposit, while the Congress finished second in the reckoning. The erstwhile unified Municipal Corporation of Delhi was trifurcated in 2012 into North, South and East Municipal Corporation or NDMC, SDMC and EDMC respectively. The BJP has been ruling the MCD since 2007. The last polls were held in 2012. The much-awaited polls will decide the fate of 272 councillors. While the NDMC and SMDC have 104 seats each, EDMC has 64 seats.